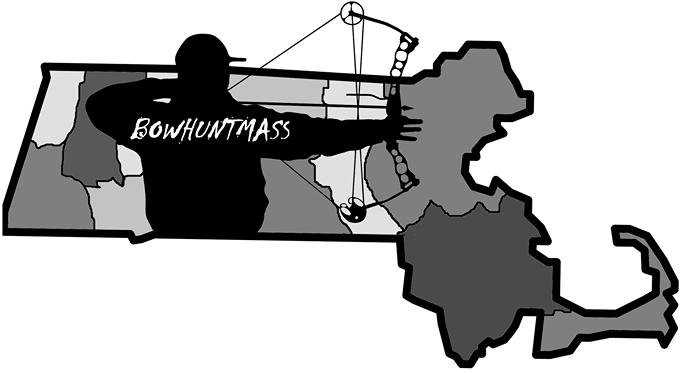 Thank you to everyone who has supported BowhuntMass this year. We sold a record amount of apparel and continue to grow! We are sold out for the year on hoodies but we still have a few truck window decals remaining. You can order right here! BowhuntMass is always trying to find what the best broadhead is for all conditions. Obviously, no one wants to make a marginal shot on a deer and no one aims to do that but it happens. Penetration and sharp blades are the difference between a lethal hit and a non-recovered deer. The second video is a cool video about how broadheads react when you've hit bone. At BowhuntMass we have seen some of these experiences in the field, sometimes you get lucky and sometimes you don't. 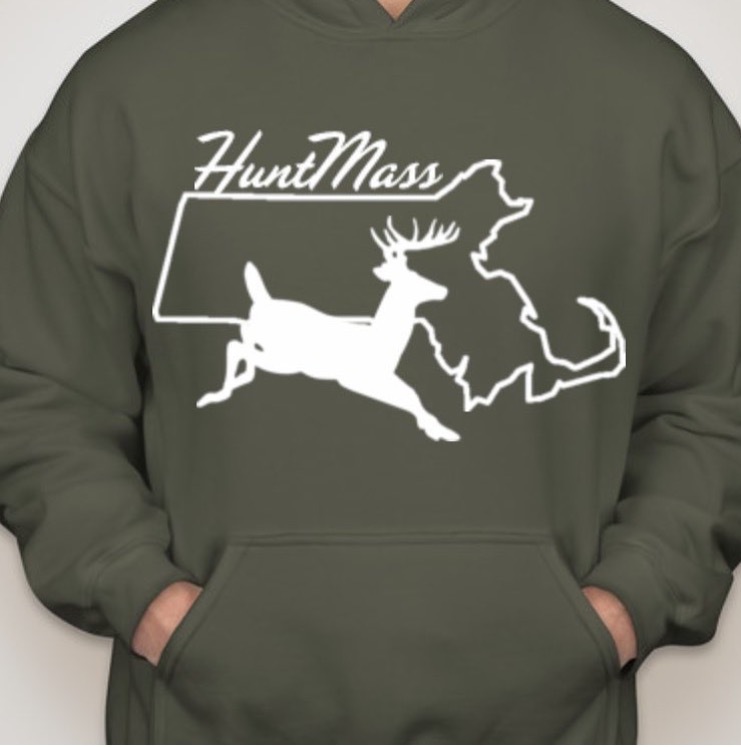 BowhuntMass: HuntMass Military Green Hoodie now available $39.99 ! 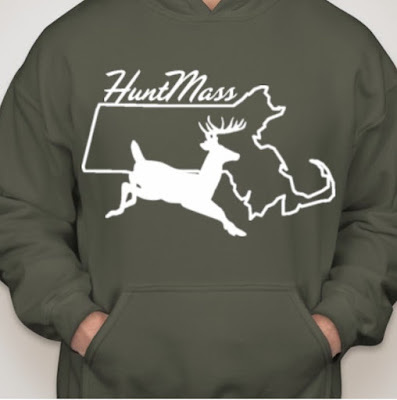 The all new BHM HuntMass Military Green Hoodie is in. Only $39.99 this is a medium weight hoodie. 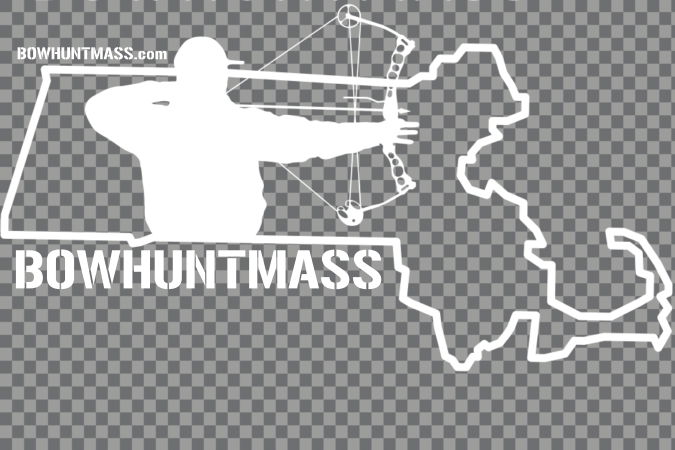 The new HuntMass logo is perfect for the die hard Massachusetts hunter in your life! BowhuntMass recently received a pair of Lacrosse Alphaburly 800g insulated boots. 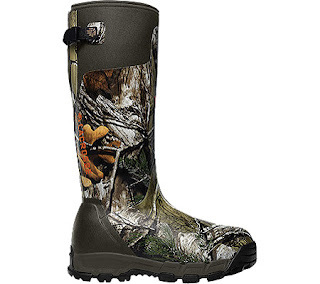 Historically, the Field & Stream insulated rubber boot or the Muck rubber boot was the way to go. This time we decided to put the Alphaburly's to the test. This isn't your typical run of the mill test, we took the Alphaburly's out for a simulated partial season test. When you put these boots on the first thing you think is quality. We typically love the Field and Stream insulated rubber boots but pound for pound the Alphaburly's blew them out of the water. Boots are form fitting and have an adjustable strap, making them more comfortable than most boots. Typically a rubber boot is loud walking through the woods but the high quality rubber bottom makes it easy to navigate quietly through the woods. The muck boots we tried were comfortable but anyone who has ventured into a swamp realizes the last thing you want is to lose a boot in the mud (actually happened with the Muck boot). The Alphaburly has a high quality adjustable strap that keeps that boot snug to your foot and keeps you from experiencing one of the worst hunting feelings, wet feet! These boots are not made for the ice that's for sure. We took them out on the ice without creepers and we were all over the place. It was actually difficult to stay on your feet! We recommend getting a pair of creepers for these if you want to venture on the ice. These boots are warm but not the warmest. We recommend going with the 1600g if you've got an issue with cold feet. The Alphaburly's are a little more expensive than its competitors. If price is a factor we suggest waiting for a sale (currently on sale at Cabela's Alphaburly Pro 800g on Sale!) or buying a cheaper competitor but do not expect them to last! The Field & Streams literally wore out after strenuous use (you get what you pay for!). We give the Alphaburly's the BHM seal of approval. A great set of boots, quality is as expected for the price. For late fall early winter these boots are perfect, for extreme cold try the Alphaburly 1600g insulated boot. 30 years later Massachusetts hunter finally gets his buck! Talk about patience. Dan Dunbar waited 30 years before he got his first buck and man was it a bruiser! Twenty minutes into his sit during Massachusetts shotgun season 2016 this monster came by and was dropped by Mr Dunbar!